The cloth can be re-used (wringable), is solvent resistant and lint free. 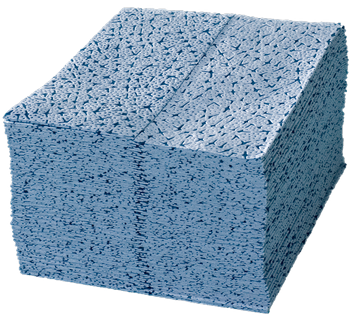 The industrial cleaning cloth is made of 100% polypropylene and acts like a sponge (i.e. it will release liquids). Paint shops, painting and printing industry as a "wiper and washcloth". No surcharge for small-volume purchases! 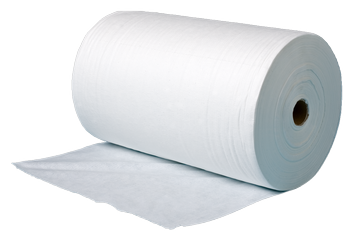 An extremely tear resistant, very absorbent and almost lint free wiping and cleaning cloth for very high demands. Application tests have shown that FULLPOWER feels most comfortable once standard cleaning cloths reach their limits. A special production process makes it possible to combine the properties of two basic materials (paper and polyester). 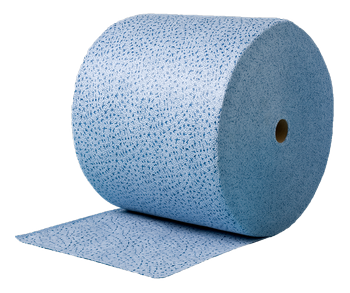 The paper provides high absorbency, the polyester ensures robustness. Precision engineering companies, graphic industry, paint shops, transmission manufacturers, cleaning of glass and mirror to pick up liquids and fine dusts without leaving residues. 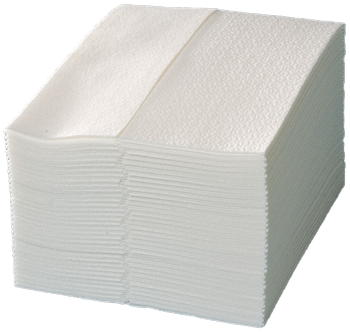 All-purpose cleaning cloth for larger wiping and cleaning jobs - also for chip removal. The product is composed of cellulose and binder, is manufactured without any water and has two different surfaces. AIRLAID is characterized by a really good price-performance ratio. 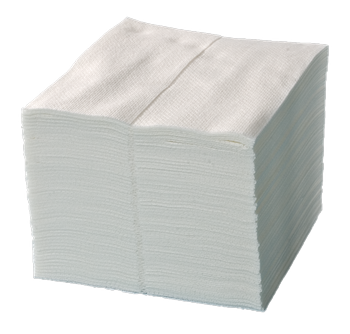 Because of its high liquid absorption, it is ideal when many cleaning and wiping operations are performed. Machinery and engine manufacturing, care and repair of machines and engines as a cleaning cloth to absorb oil, grease, lubricant. 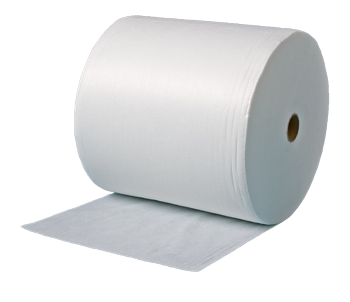 Synthetic fibers thermally bonded with nonwoven cellulose fabric. Ideal as polishing cloth in the industrial and motor vehicle sectors. Natural viscose fibers give the material a textile-like finish. 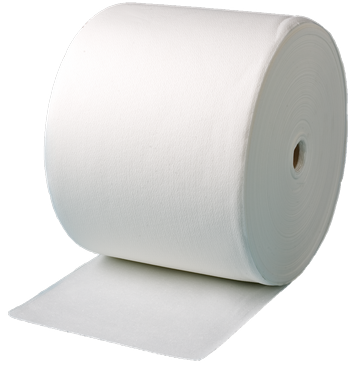 It is soft like cotton and excellent for sensitive applications. The cloths are free from binders and chemicals, are tear and solvent resistant and can be used repeatedly. For cleaning the inside of vehicles and for paint care (polishing). 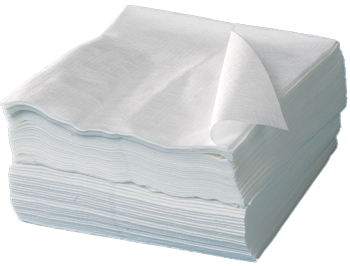 As an industrial wiping cloth to remove liquids an solids (oil, grease) from scratch-sensitive surfaces. 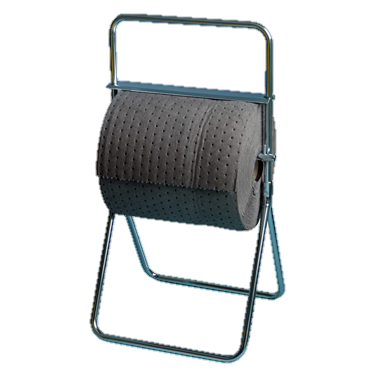 The functional Roll Holder of stable tubular steel ensures that you always have rolls for absorbing and containing liquids quickly at hand.